Cheets' Tweaks: Captain mine Captain! 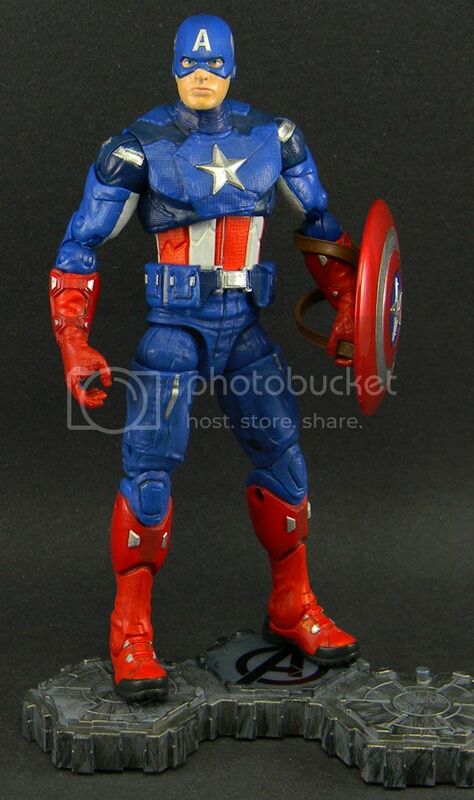 So yeah, I used to do custom Marvel Legends figures all the damn time. That was back when I did my own sculpting as well, something I plan to get back to as some point in time. 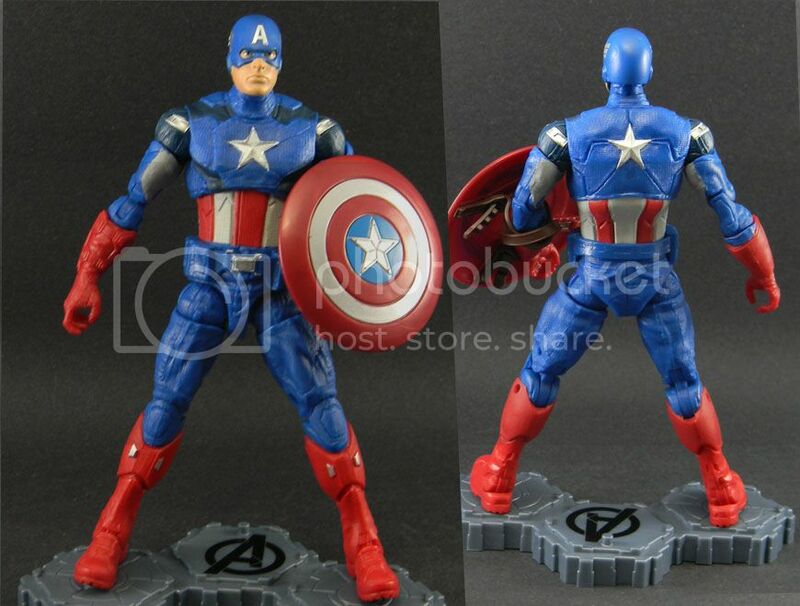 I was hunting these 6" Avengers figures and when I go them I noticed that they need a LOT of work. 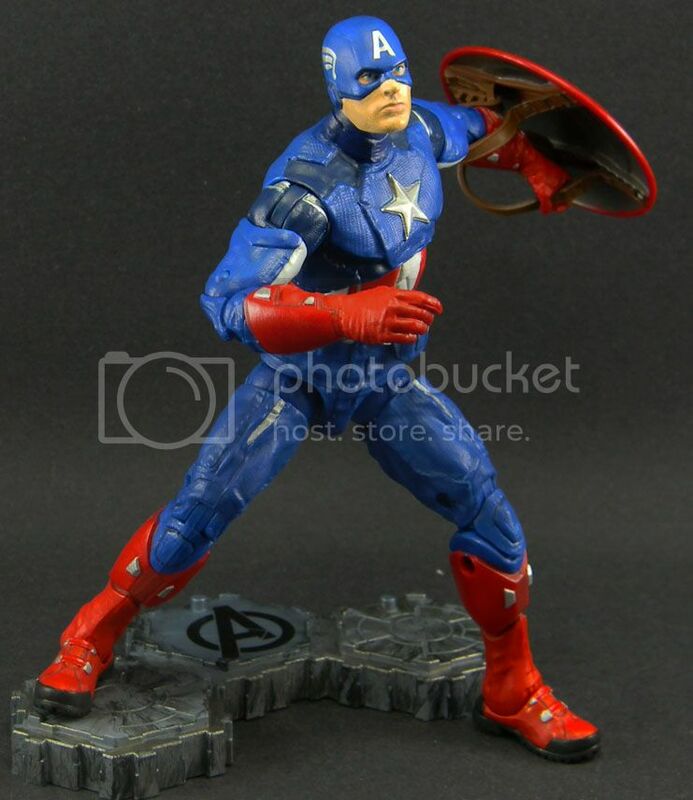 Here's a pic of Cap before I got to work on him. I had to change all of his blues and reds as well as add a lot of detailing to bits and pieces of his outfit. I also shiny-ed his shield while adding a chrome coat to the silver parts. I even repainted his face as that was rather lacking and uneven. This guy was fun to paint and I am looking forward to doing more of these. There's a certain thunder god on my table right now. Dude, nice. I can't wait to see your Iron Man work.